After saying a tearful goodbye to my favorite local chocolaterie, Xocolat, I was ecstatic to discover a new bakery filled its old space. 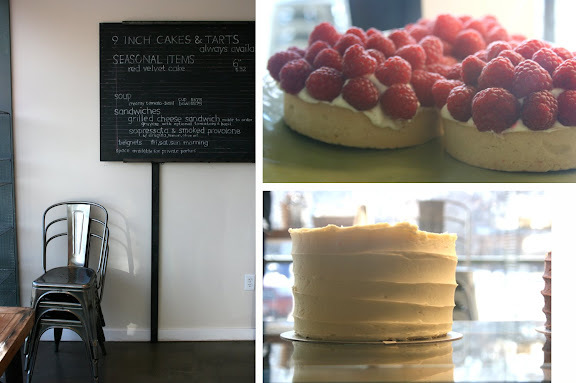 In case you haven't noticed, I do love a good bakery :) Tulie Bakery is a delightful place to linger thanks to the delicious food, natural light, and well-designed dining space. When I walked in and saw the same French bistro chairs & stools I have in my own home, I instantly felt a connection. What is lovely about Tulie is that it fills a void here in Salt Lake. There really isn't another bakery that offers so many delicious-tasting and well-presented cakes, all made from scratch. You'll find decadent cakes full of chocolate ganache ("bette noir") as well as fruitier flavors like orange poppyseed. Given that idea behind Tulie Bakery began after owner Leslie Seggar couldn't find a good quality birthday cake for her son, it's only fitting to offer a grand selection of amazing cakes. A few other things I also love are the Bran Muffins (I love bran muffins though...), any of her Quiches, the Coconut Cream Tart, and the Banana Cream tart. A funny thing about those tarts...so I sat down with Leslie for a few minutes during one of my recent visits. I mentioned to her that her tarts reminded me of my favorite bakery in San Francisco, Tartine. A glowing smile slowly emerged across her face and then she told me how she spent a short stint at Tartine learning their craft. She pretty much had me then and there. If I can have my own piece of Tartine Bakery here in Salt Lake, I am one happy girl. You should try Mrs. Backers at 434 E South Temple. Great stuff. Thanks for sharing your new find. I stopped by today and picked up a lemon tart, 3 sugar cookies and a tasty sandwich. I will definitely go back soon! That cake looks absolutely amazing! Thanks for the tip on this, I had no idea about it. Oh, looks tasty... and inspiring to me! Thanks for a great suggestion. I can't wait to visit. Looks adorable! Do they happen to have an email address? I can't wait to stop in the next time I am in town! Thanks for the great find... I love little treasures like this! will definitely have to make a stop there sometime. thanks for posting! 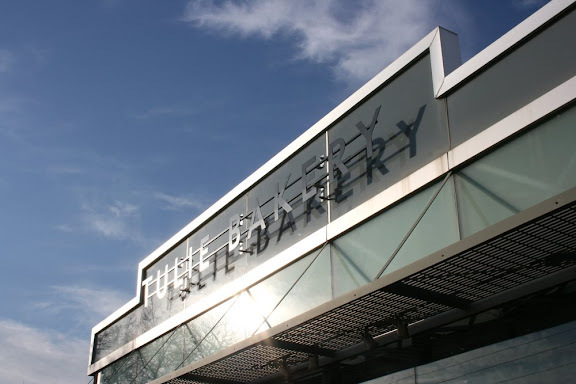 any other good slc bakeries i need to know about?